When the game rs get locked inside Mondale High during spring break with their least-favorite teacher, they must use their gaming skills to find a way out. When Wendell introduces his new girlfriend to the gang, it turns out to be Conor's old gaming rival who wins the gang over, forcing a split between Conor and the team. For people who believe this is dull remember it's a Disney show meant for children 13-17. In saying that I'm 25 and love it. It keeps me laughing and wanting more. The actors are hilarious and play together very well. 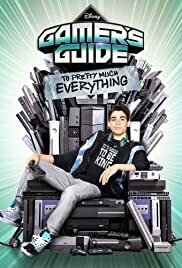 Cameron Boyce who I believe went from another show directly into this project and you can tell he works hard to deliver in anything he does. As a die hard gamer this show nails it for me. It reminds me of video game high school, which was my all time favorite YouTube show turned Netflix original wannabe. If your looking for. Family friendly show for your child like I was and want them to get into video games a bit more then watch this.